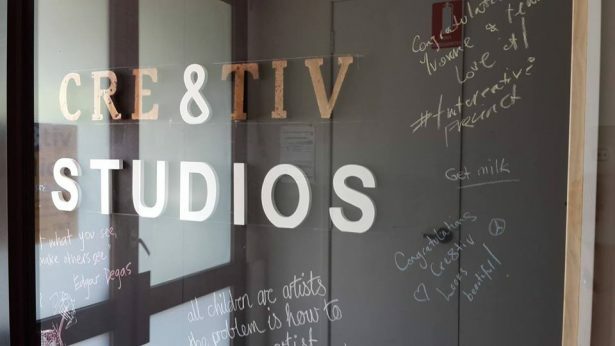 cre8tiv gallery & studios is an artist run space located at 27 Atchison Street, St Leonards and is managed by local artist, Yvonne Levenston. 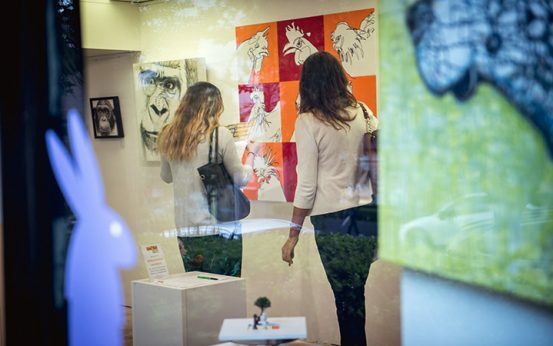 We are very thankful for the opportunity and support of TWT and Bridging Hope Foundation, providing us with affordable space in the St Leonards Creative Precinct. We currently have 8 to 10 emerging and midcareer resident artists all working in different paint mediums, sculpture, printmaking, assemblage and modern craft. 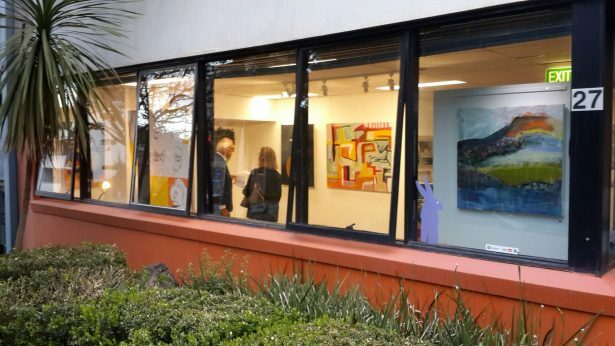 Leon Boland, Gaye Evans, Bahman Kermany, Yvonne Levenston, Yoon Park, Brenton Schwab, Kathryn Uther, Bronnie Zervos plus our current resident gallery artists Curious Art Bar. Our gallery space is available for short- and long-term hire as well as a professional 72 x 125cm steel bed heavy duty printing press. Besides regular gallery exhibitions our studios are open to the public on the first Saturday of the month (except January) – a perfect opportunity to view and chat to the artists about their work. Contact Yvonne art@yvonnelevenston.com or 0414 742 868 for more details.